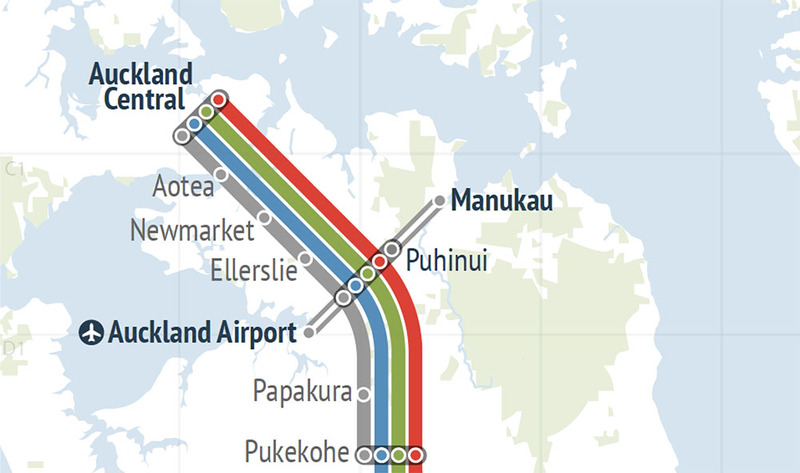 Now talking intercity rail link – no capacity in Britomart until CRL. Sounds like they are intending to use Puhinui interchange until then. 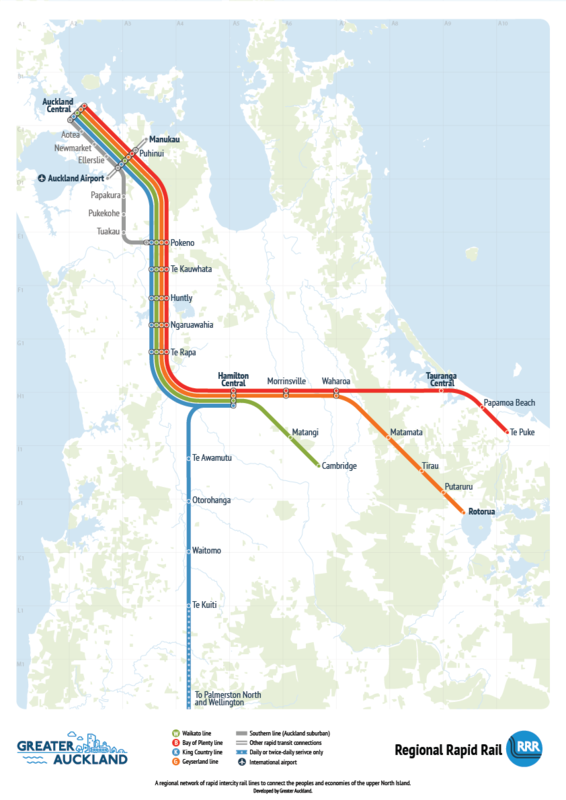 With Britomart having no capacity until post City Rail Link (2024) and Regional Rapid Rail unable to start until Puhinui Station is upgraded (2021) and interesting situation arises. That is between 2021 and 2024 inter city trains will be terminating at Puhinui Station until Britomart becomes a ‘through’ station post City Rail Link in 2024. I am aware Otahuhu has Platform 3 sitting dormant and that could be used as well for Regional Rapid Rail but the point of using Puhinui as the terminus (at least short-term) caught my attention more. Puhinui was already to be a major interchange owing to its intersection with Airport to Manukau (and later Botany) Rapid Transit (and why that line should be Light Rail not bus), the existing Southern and Eastern Lines and soon the inter city routes. To have it act as a terminus brings up some interesting Urban Geography questions including travel patterns (will inter city users continue to Britomart post 2024 or whether they will continue to go west to the Airport or east to Manukau City Centre for their needs given Manukau is already the largest Metropolitan Centre and Node in Auckland (see: #AucklandPlan2050 is Live Online! Also: Who Removed the Metropolitan Centre within a Node Category?) and consequential urban development (again Manukau being the largest Metro and Node) in the South. The revelation Puhinui Station will be used as a terminus for Regional Rapid Rail (at least in the short-term) was a surprise and as noted above throws up very interesting Urban Geography questions. I wonder if NZTA and Auckland Transport are aware of this given Airport to Botany Rapid Transit falls under them while Regional Rapid Rail would fall under NZTA?